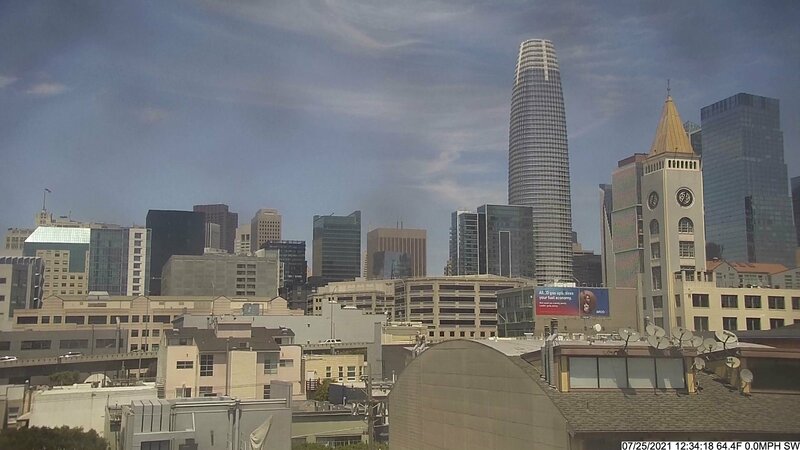 SOMA - A webcam in San Francisco, California with image archive and current weather data. San Francisco, California: Potrero Hill, 1.3 mi. San Francisco, California: The Castro, 2.4 mi. San Francisco, California: San Francisco Skyline, 2.6 mi. Ocean Beach, California: Coastline Panorama, 6.6 mi. Sausalito, California: Sausalito Yacht Club, 6.9 mi. Berkeley, California: West Berkeley (facing SF), 7.5 mi. Tiburon, California: Panorama View, 8.2 mi. Berkeley, California: View over Berkeley, 9.1 mi. 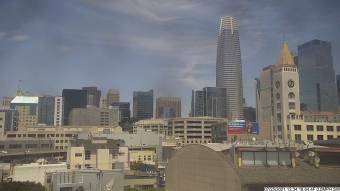 This webcam San Francisco, California with the theme City Views was added on November 24, 2015 and is operated by scr33n@wunderground. It got 359 visitors since then. Shouldn't this webcam work or should the link be wrong please report that here. You can add this webcam here to myCams.